The Mediterranean basin is considered one of the most important biodiversity hotspots of the Earth. However, since the appearance of the agriculture over 10,000 years ago the human being has modified their terrestrial ecosystems intensely. An overlooked human impact is related with the spreading of ruderal plant species associated to croplands and human environments. This human-associated plants may harm native species by several processes, such as resource competition, transfer of enemies, kidnapping of mutualistic organisms or by genetic introgression. This effects are exacerbated when the weeds are phylogenetically related with the native plants. In this project we intend to explore the effect of some human-associated weeds on the conservation of plants endemics to the Iberian deserts and the subsequent effect in the biodiversity of European arid lands. Our study is phylogenetically informed, to diminish as much as possible any source of error associated to a contrasting evolutionary history of weeds and natives. 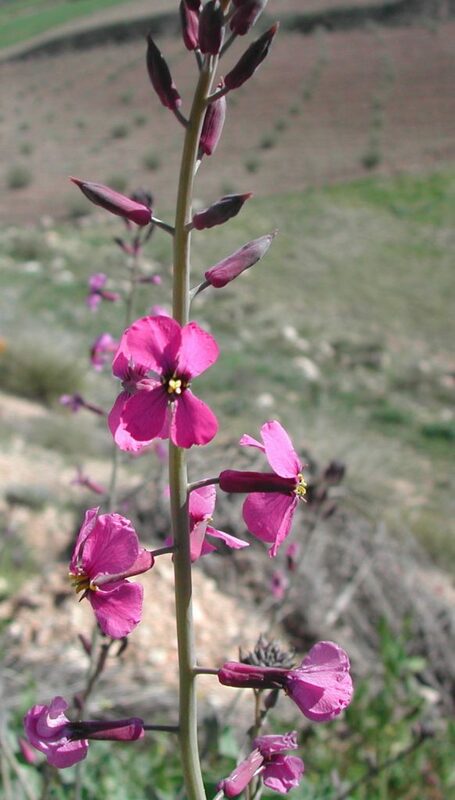 The specific goal of this project is to evaluate the consequences of the spreading out of a ruderal plant, Moricandia arvensis (Brassicaceae) for three Iberian arid species (M. foetida, M. rytidocarpoides, M. moricandioides). We propose four objectives. First, we will evaluate the occurrence of barrier to the competition determining the overlap degree in the environmental niches of the weed and the native plants. Second, we will evaluate the difference between the weed and the native plants in their pollination niches, experimentally testing whether the weed’s pollination niche overlap with those of the native plants in sympatry. Thirdm we will explore the transfer of herbivores from the weed to the native species when they grow in the same localities. Finally, we will determine the occurrence of present-day hybridation and the possibility for historic genetic introgression.